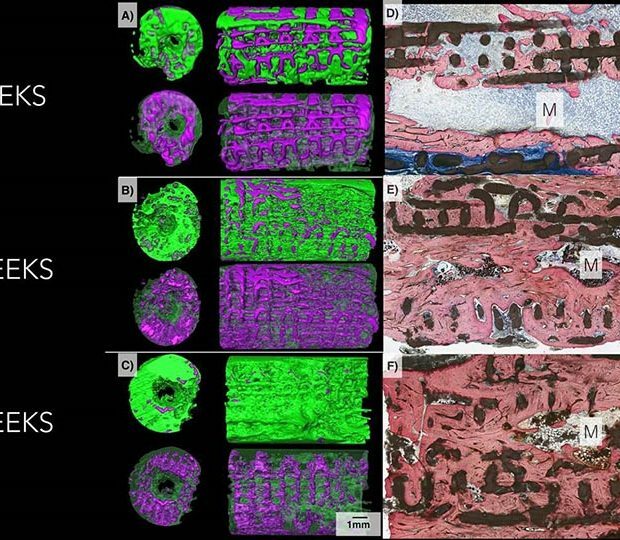 3D printed implants have been developed by a team in NYU’s Medicine and Dentistry colleges which have been created to act a a type of scaffolding to help bones to repair and regenerate over time. Formed as a gel-like substance, the implants are produced with tricalcium phosphate and is set to resemble the bone after being heated, eventually turning the gel substance into a ceramic implant. As the impact and gel contain similar compounds to the ones found in real bone, natural bone will use the implant as a template to regrow in place of the impact, which dissolves over time. This process is said to help speed up the regeneration period of bone as the Dipyridamole is said to attract new bone stem cells and thin the blood, resulting in the time taken for a bone to heal to decrease by approximately 50%, sometimes even more.